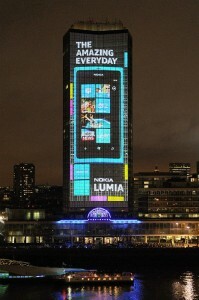 The Nokia Lumia 800 is already the fastest-selling Nokia device ever on Orange UK, and the device has reportedly smashed previous pre-order records. I doubt this event could hurt this promising sales start. Windows Phone is coming strong, and so is Nokia, and they want to make sure that the people of London, and also the world, know about this device. The launch of Windows Phone have previously shown disappointing sales figures, making a lot of people, including me, call it a total flop. Since then Microsoft have released the Mango update for the operating system, fixing many of the common complaints. Meanwhile in a very short time Nokia has managed to change their internal strategy and put out a new Windows Phone device in only a few months. I now firmly believe that in 2012 the market share of Windows Phone is going to be completely different to the the low numbers it has shown previously. Their marketplace is growing in a very fast pace, and together with the high quality of Nokia hardware, the operating system is very likely going to have a huge impact in a very near future. The Lumia 800 is real beauty, based on the Nokia N9 body, but further refined in a very compelling way. Compared to existing operating systems and hardware designs, it really looks sharp, different and very modern. Even though Nokia does not disclose sales figures, so far for a rather small launch in only 6 countries in Europe, the estimated numbers are looking very promising.